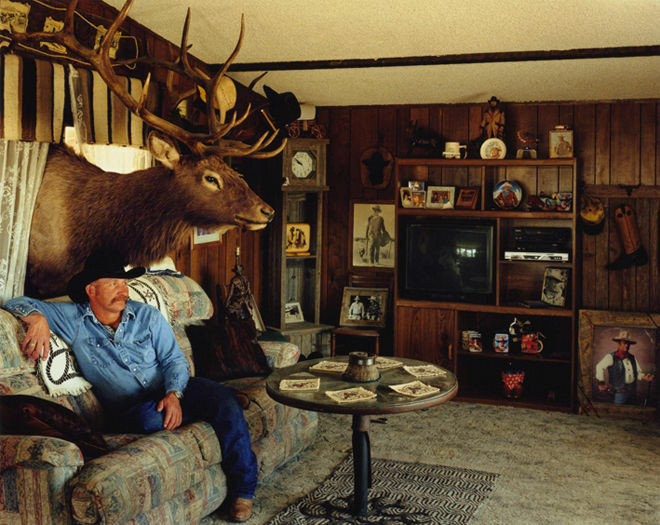 My father was a cowboy, born and raised in Arizona, so when I spent time with Jane Hilton’s terrific monograph, Dead Eagle Trail, it resonated with me completely. 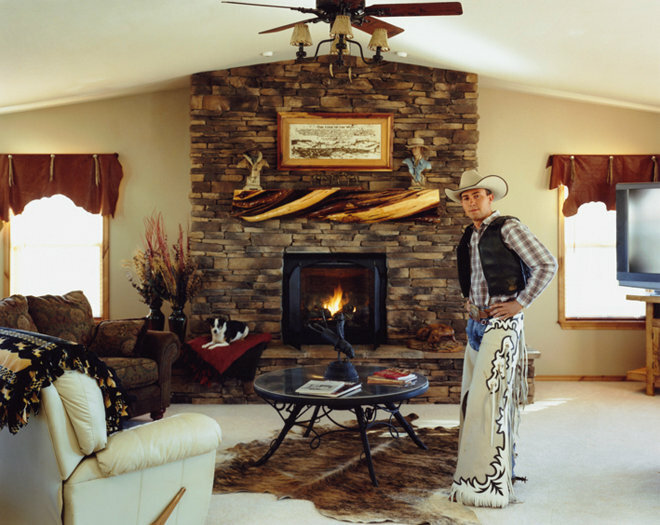 Published by Schilt, Dead Eagle Trail: Portraits of the American Cowboy looks at contemporary cowboys who are still engaged in century old traditions. 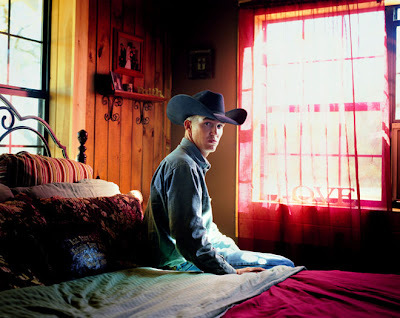 Inspired by a commission in 2006 to photograph a 17 year old cowboy, Jeremiah Karsten, who travelled 4,000 miles on horseback from his native Alaska to Mexico, Jane set off on her own four year pilgrimage, criss-crossing the cowboy states of Nevada, Arizona, Utah, Texas, New Mexico and Wyoming to capture America’s 21st century cowboys which has culminated in this monograph. A London photographer, Jane has a website and a resume that reflects a long history of exploring culture and society around the world, but in particular, the American West. 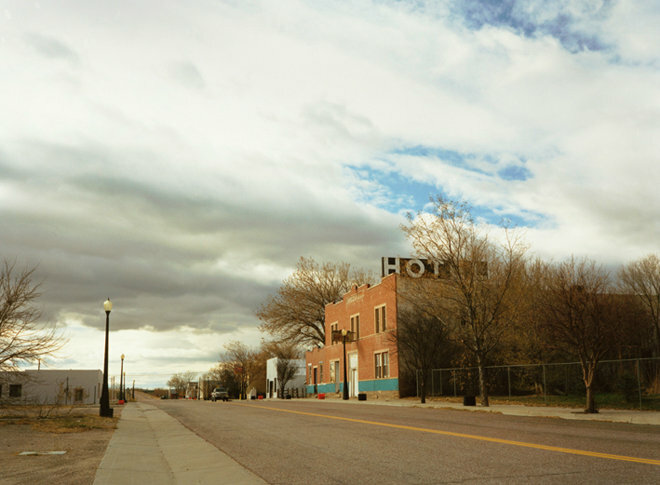 In addition to her photography, she also creates films about about the people and communities she encounters. “My work is about the extraordinary realities of ordinary people’s everyday lives, revealing their individual characteristics and ways of being that one so often overlooks”. She started out as a classical musician, graduating in 1984 with a BA (Hons) in Music and Visual Art from Lancaster University. 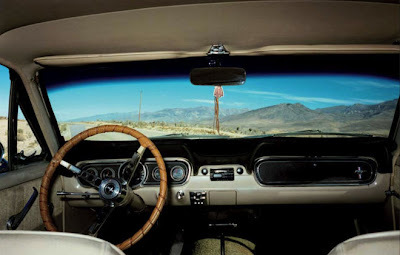 Her love of photography brought her to London, working as an assistant for numerous fashion and advertising photographers, before going it alone in 1988. Early work included both fashion and editorial alongside her documentary projects, which is the mainstay and passion of her work today. 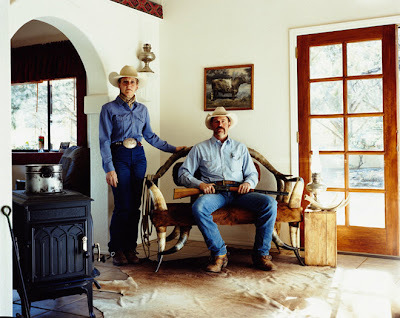 Since 2006 Jane Hilton has ‘collected’ this series of cowboy portraits, from the buckaroos of Nevada to the cowpunchers of Arizona and Texas. 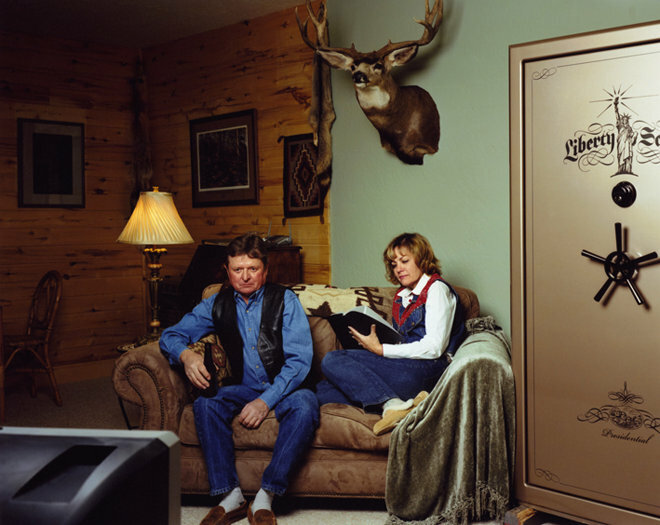 They have all been photographed in their own homes, which they have filled with western artefacts. The need to hold on to their heritage and culture is clearly visible: stuffed animals, belt buckles, spurs, John Wayne memorabilia, guns, boots, and saddles, it’s all there. 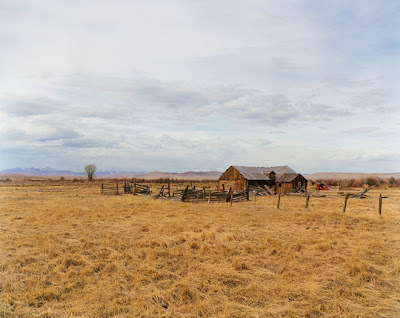 There’s a craving to collect and preserve their way of life as the ranches struggle to survive in the face of new technology, and the rising costs of feed and petrol. 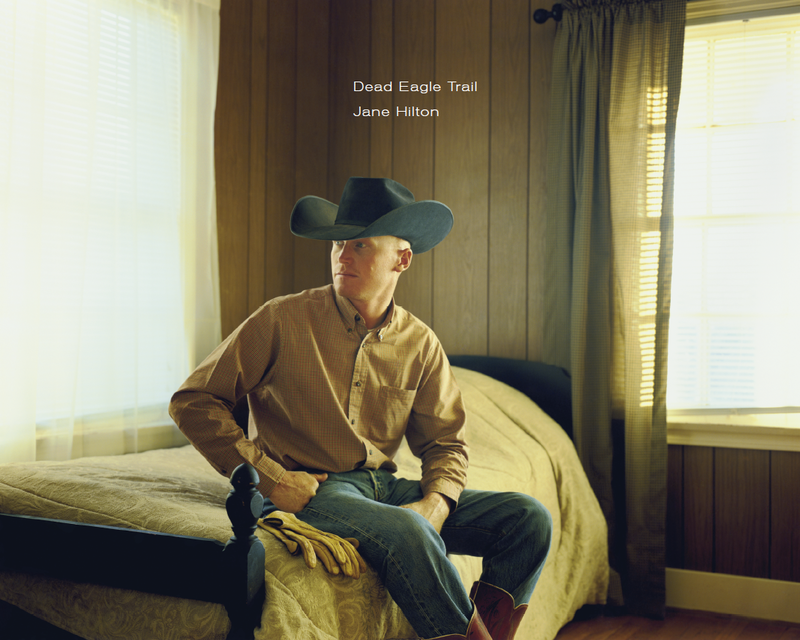 Dead Eagle Trail is a document to the cowboy of the twenty first century. It was a complete pleasure to mine your website, and I came away wanting to ride along with you on your visual adventures. Your enthusiasm for what you shoot is so evident! When did you first come to the states to make work, and what draws you back again. Why the west? I first came to the states in 1988 when I was an assistant on a fashion shoot. We were based in Tucson, Arizona and I fell in love with it from this moment on. Can you tell me how the book Dead Eagle Trail came about? The book came about after I was commissioned by the Times to photograph a young cowboy called Jeremiah Karsten after he had taken 2 and a half years to cross the United States on horseback. 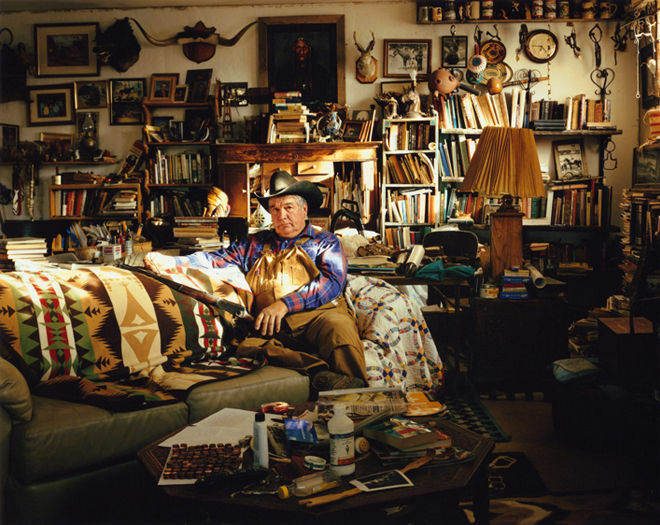 He was 19 years old and had travelled from Alaska to the Mexican border – he represented the American Dream and the older cowboys loved him for that. I ended up going for supper one evening with one of these old cowboys, and when I saw his home I realised there was something incredible about how the wild west had ended up being in his living room. So after photographing Jeremiah I went back to take the portrait of Johnny Green at home in an environment not seen before. And so my new project started……. What have you learned about the contemporary cowboy? He is refusing to join the modern world with our social networking and computers, however, he does now reluctantly have to follow new regulations health and safety wise for keeping cattle. 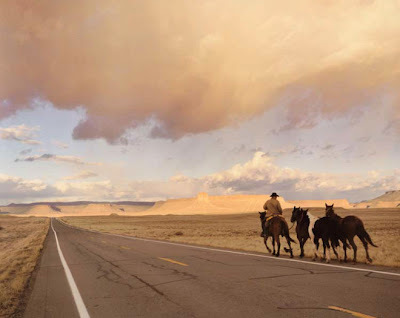 Also the cattle drive nowadays is very scarce as cowboys now put the cattle in trucks and drive them from state to state as it is cheaper and quicker. 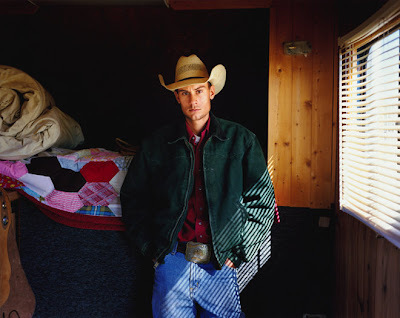 However, the cowboy still exists because they can ride to areas on the land that you can’t reach by a truck. He also carries a cellphone but he still works mostly in areas with no cellphone service ! 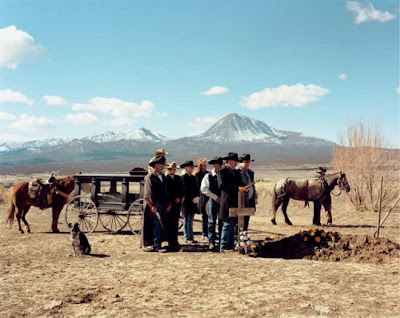 The cowboy portraits are wonderful, but I was also drawn to your landscape work. I think it’s interesting that such colorful people live in such desolate places. They all have a passion for the countryside and nature. In general they are all quite spiritual being at one with nature, sometimes not seeing another human being for a few days, and in the winter months a few weeks – so they are used to their own space. The people you photograph, in all of your series, seem very at ease. Can you share your insights into working with people you don’t know? I love meeting new people, and am genuinely excited about learning new things from a new person. So maybe being interested helps them to relax. I also try and spend as much time as possible with them before getting my camera out. Time is what you need with people. You are both a photographer and film maker–how do you decide which medium to approach a project with? Some things are fairly obvious, for example, where the photographs can’t possibly tell the whole story and the story is amazing, then filming is fantastic. I ended up filming because I came across such incredible people with the most incredible stories. 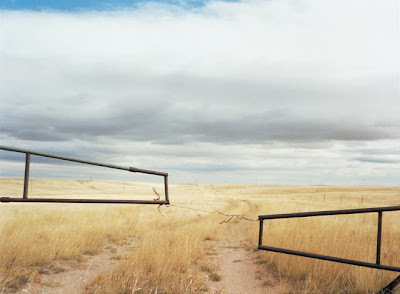 The still photograph is an art form that requires everything within that frame to be perfect. When you get it right it can sometimes be more poignant. Are you working on something new–I know you are back in the west at this time? Yes am very excited about the new project I am working on. 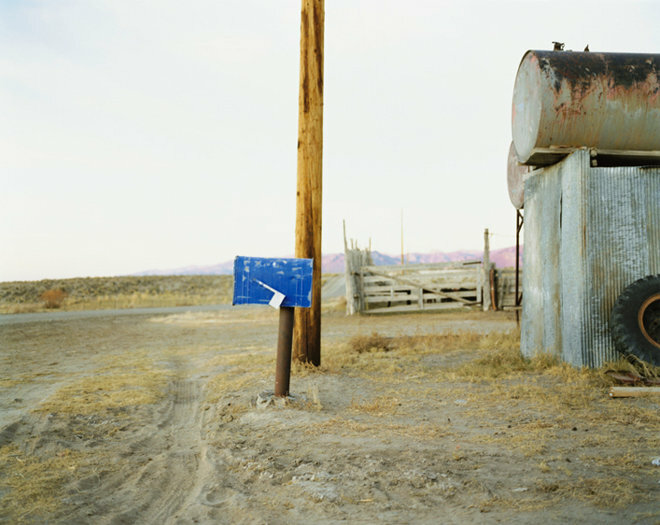 Although it is too new to say anything more, except that it is based in Nevada which is my favourite state, so I couldn’t be happier ! Lenscratch readers are interested in knowing more about your photographic journey. What advice can you give emerging photographers, especially on presentation, on networking, on consistently producing excellent work? I might not be the best person to answer that as I really just follow my heart, and am aware that is a privilege. Presentation is obviously crucial. I love C-type hand printing and ironically all the old fashioned ways of presenting work. There is nothing better than a photograph that is beautifully printed, and framed and hung on the wall. However, I am aware that the internet is the way forward and in getting the work to a wider audience there is nothing better. Taking a great photograph, or filming the perfect sequence, of course ! !